Homeowners will appreciate the character and personality Design Elements Lever Locks adds to any door. 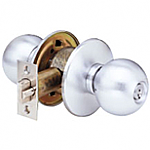 Available in three beautiful finishes, this distinctive collection of Lever Locks combines beauty, feel, and impeccable engineering to give your home a distinct measure of quality. 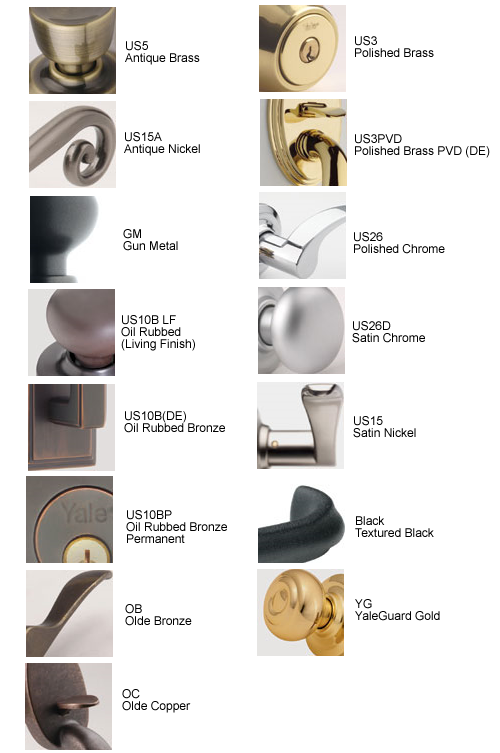 Yale's Design Elements Lever Locks with unique style and finish options make decorating statement with individual flair. Use on doors where only pull is needed. century, Design Elements™ from Yale® Lever Locks artfully designed and finely crafted locksets remain unmatched in the industry today. 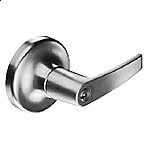 Made of solid brass and crafted with fine detail, Design Elements Lever Locks set the industry standard for exceptional beauty teamed with high performance. mechanical and one-year finish warranty. installation problems and to deliver extended durability. 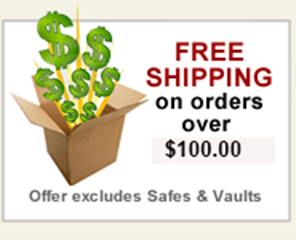 Provides high quality feel and look. Exterior rosettes match interior rosettes. Easy, single operation to unlock. Reduces wear and provides smooth operation. 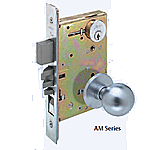 Latch Face 1" x 2-1/4"